Lee Oktoberfest Winner Wayne Whitten Jr.
Wayne Whitten Jr. took off from his front row starting position in Sunday�s Pro All Stars Series (PASS) Mod feature and led all the way to capture his first PASS Mod victory. Jon Brill drove up to challenge Whitten Jr. for the win but it was too little too late and Brill settled for second. Scott McDaniel wrapped up his season with yet another strong run, coming home third. The victory was Whitten�s first under the Pro All Stars Series banner. 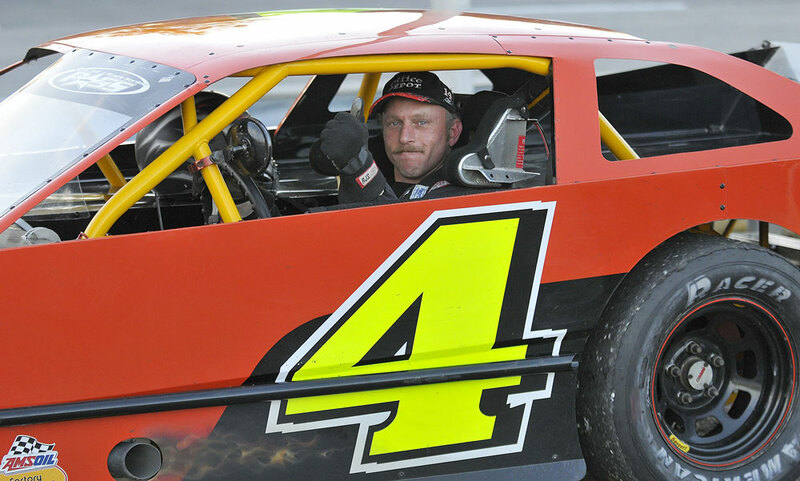 He joins Andy Shaw (3 wins), Scott McDaniel (2 wins), Dan Somes, Steve Bennett Jr., Gary Norris Jr. and Sulo Burbank in the PASS Mod win column. While Whitten was driving off into the sunset, Bill Dixon and Scott Grant were battling it out for the PASS Mod Championship. Grant enjoyed a ten point advantage heading into the finale and those few extra points came in handy Sunday as Dixon finished the day two spots ahead of Grant in fourth. Neither driver had a great set-up for Lee USA Sunday, but they both survived the battle and Scott Grant came away as the titlist, just a handful of points ahead of Dixon. Grant is the first PASS Mod Champion since the series inaugural 2004 season to capture the crown without a trip to victory lane. 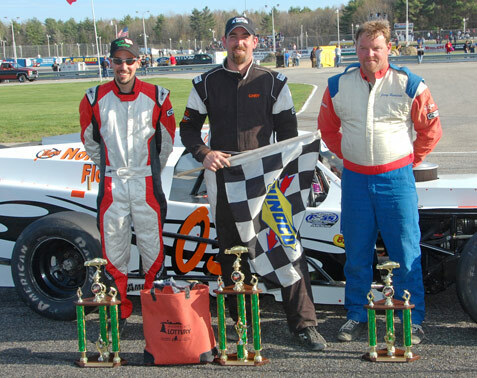 (Mark Lucas earned the 2004 title) Grant�s five top five runs were enough to propel the Waterboro Maine racer to his first Championship. Scott Grant, Carey Martin, Johnny Clark and Ben Rowe will be joined by their fellow racers, family fans and friends at Verillo�s Conference Center in South Portland ME on Saturday, November 7th to celebrate their respective series championship. 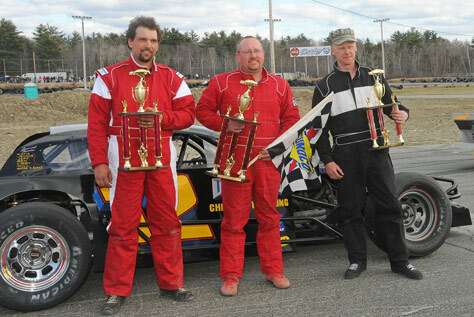 PASS MODS: Andy Shaw, 2nd; Winner Scott McDaniel; and Scott Grant, 3rd. 1) 56 Dan Somes 2) 66 Andy Shaw 3) 50 Sumner Sessions 4) 4 Scott Grant 5) 29 Greg Ellis 6) 03 Gary Norris Jr. 7) 85 Glenn Bradbury 8) 21 Sulo Burbank 9) 33 Bill Dixon 10) 14 Scott McDaniel 11) 12 Stephen Bennett Jr. 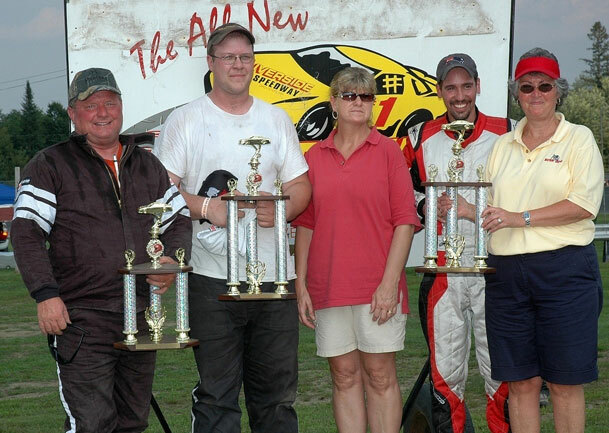 PASS MODS Top Three: Bill Dixon, 3rd; Winner Scott McDaniel; & Gary Norris, 2nd. 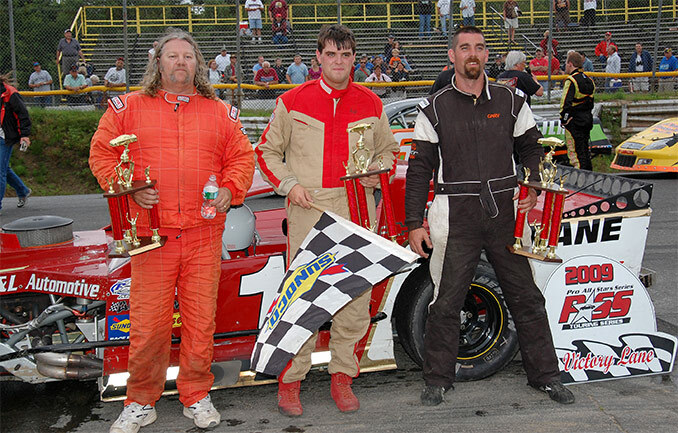 NAPLES ME (June 6) Andy Shaw drove from the back of the pack to the front to capture his second Pro All Stars Series (PASS) Mod series win of 2009 Friday night at Lee (NH) USA Speedway. 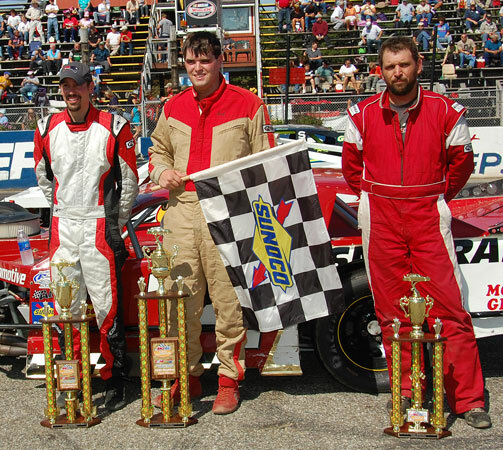 Shaw battled visiting North Carolina super late model star Jay Fogleman and Sulo Burbank for the win in the first of a four race Twin State Series for the open wheelers. Shaw and his team were fortunate to be in the feature at all. The rear end in their race car blew up in practice but they were able to borrow another from a fellow competitor, swap them out, and run second in their qualifying race. But the work wasn't over then; the team had holed a radiator in the heat and had to make another hasty swap before feature time. 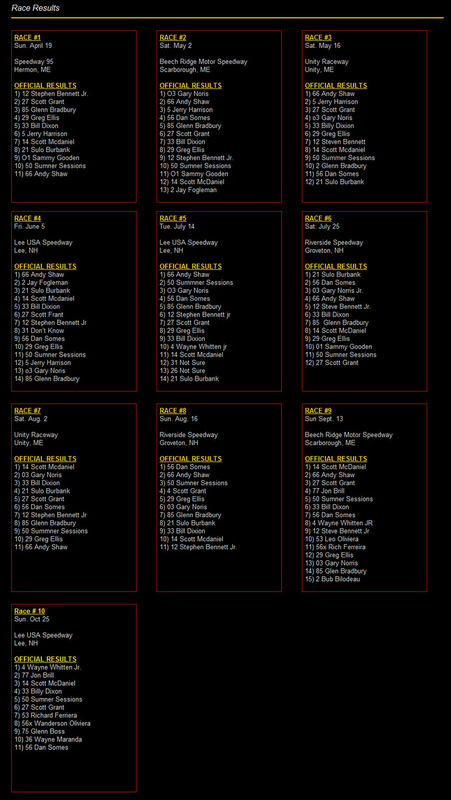 Shaw, Dave Weir and the entire 66 team proved that once again, hard work and perseverance pay off at the race track. Sulo Burbank had luck on his side as well. 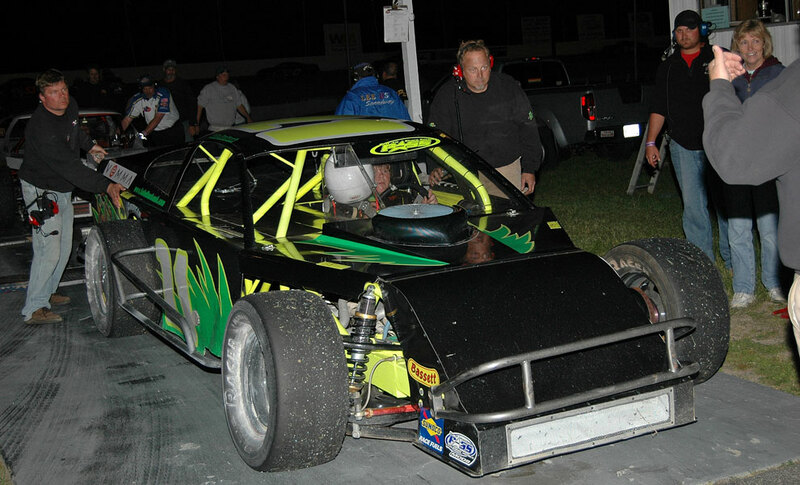 After his best PASS Mod finish of the season in third, the team discovered a broken hub held in place only by the wheel after giving the Lee USA concrete a tap midway through the feature. Unofficially, Shaw vaults from third to first in the PASS Mod points standings after four races. Jerry Harrison held the top spot going into the race but a hard trip into the turn one wall resulted in a 12th place finish and second place points man Scott Grant came home seventh. The top three were only separated by three points prior to the Lee USA event.